Casa del Alba independent apartment has dual access through the house or from Plaza Escondida. It has a queen bed, a small fringe and a private bathroom. Is prefect for a couple. 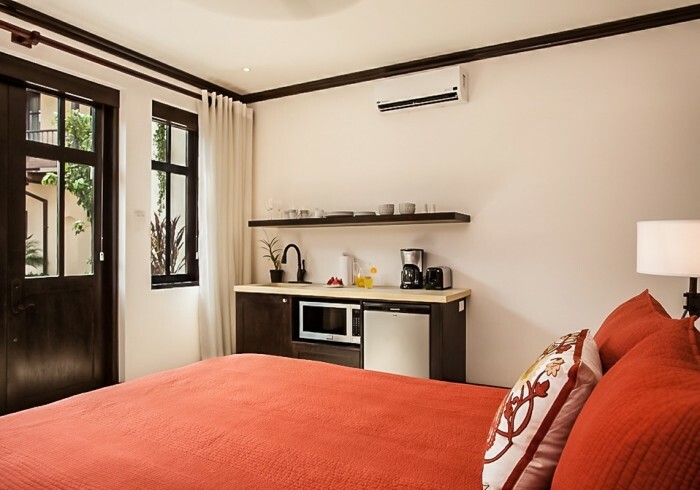 The studio has daily housekeeping included as well as concierge service and Beach Club access.